The Sihhiye Sun Disk Statue is modeled after stag Sun Disks found in the 13 royal tombs at Alacahoyuk. 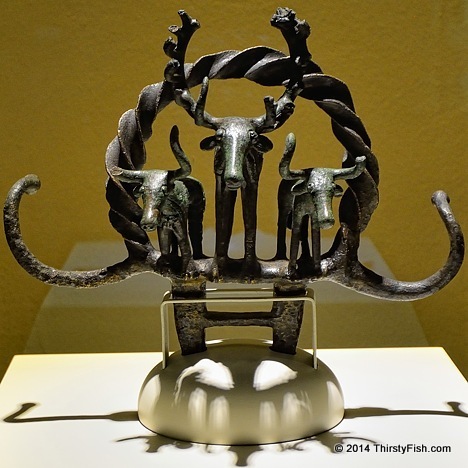 This one dates back to about 2,500 BC and is housed at the Museum of Anatolian Civilizations. It is estimated Alacahoyuk has been continuously settled for over 5,000 years.